Posted on April 19, 2019 · Time to make the honey! Posted on April 5, 2019 · At this time of year, Mudbugs are out of the swamps, on to our plates, and into our bellies! 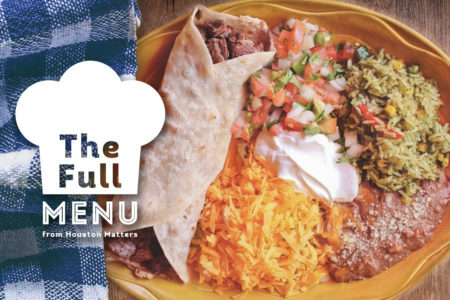 Posted on April 4, 2019 · In the latest installment of The Full Menu, local food writers discuss their favorite places in Houston for Tex-Mex, interior-Mexican cuisine and tacos. We apologize for any Tex-Mex feuds that occur as a result of this list. 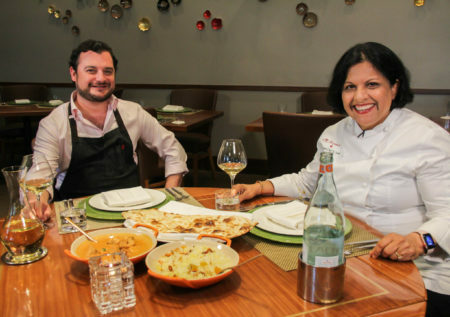 Posted on March 27, 2019 · The Best Chef Southwest category was dominated by Austin-based chefs. Posted on March 13, 2019 · The fluorescent yellow café is only open through May. Posted on March 6, 2019 · Local food writers discuss their favorite places for pizza. Posted on February 27, 2019 · Texas received a total of 27 nominations. Posted on February 19, 2019 · Often referred to as the “Oscars of the food world,” the awards span 50 categories, including Restaurant and Chef and Restaurant Design. Posted on January 10, 2019 · Local food writers discuss their favorite places for fish, oysters, shrimp, crab and other seafood dishes in Greater Houston. Posted on December 20, 2018 · Bourdain first filmed an episode at Burns in 2004 for the Food Network, and returned again in 2016 to film the Houston episode of his CNN show Parts Unknown. Posted on December 11, 2018 · Houston food writers share their favorite places to take visitors during the holidays. Posted on November 21, 2018 · Not all gifts given with heart need to be hand-made - here are some suggestions on how to personalize the presents you give. 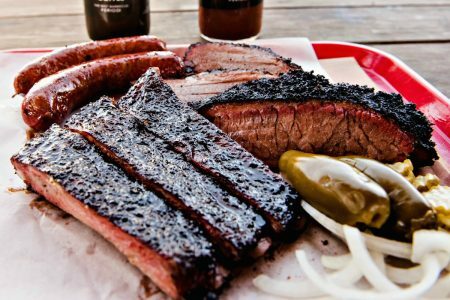 Posted on November 20, 2018 · Some Houston pit masters say doing barbecue right is a dying art. Posted on November 19, 2018 · Watch and then try these recipes yourself. The directions are below. Posted on November 12, 2018 · From Chicken Tikka Masala to Phở, Houston is a true melting pot of international flavors.